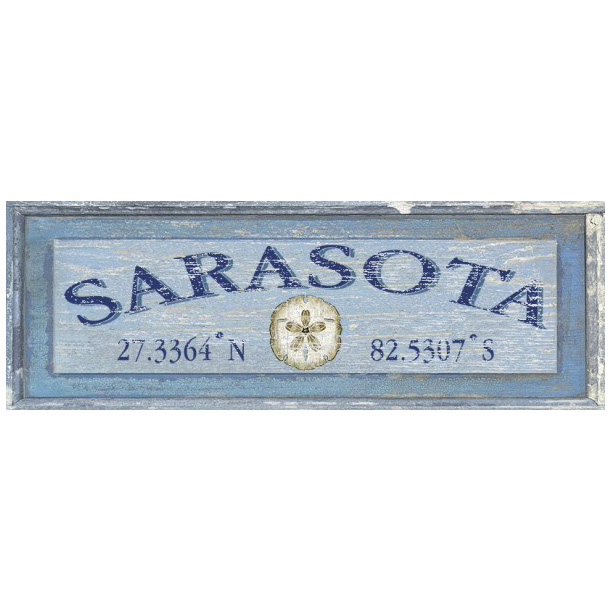 The Coastal Sand Dollar Personalized Sign adds bayside style to your family room with a sand dollar center and your location in blue hues. Personalized with your location and coordinates. Please add personalization to comments section at checkout.